Capacitive touchscreens in cars are far and few between. Car infotainment systems have featured touchscreens in their dashboards for quite a few years now. What most people may not know is that majority of those screens use (the outdated) resistive touch screen technology. Resistive touchscreens require users to use appropriate amount of pressure when tapping. As a result, the touch experience may sometimes feel laggy, jerky, or not very streamlined. The interface stutters and doesn't always feel responsive. A capacitive touchscreen, which is the newer alternative, is like the one found in today's smartphones. Pioneer's AppRadio devices also use a capacitive touchscreen which makes the interface much more usable. The recently announced Pioneer AVIC-8000NEX also has a capacitive touchscreen. Factory car infotainment systems with capacitive touchscreens were almost unheard of up until Tesla's Model S, which has a 17-inch monitor that is very responsive. 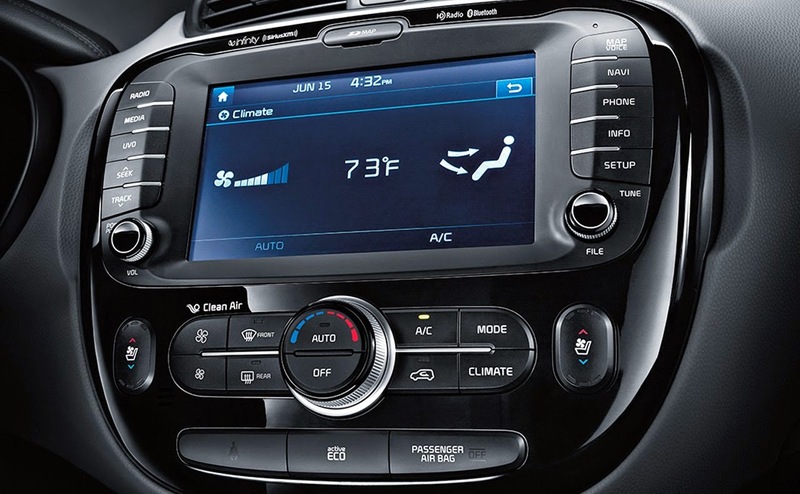 Now, the 2014 Kia Soul wants to give users an ultra-smooth infotainment experience with its own 8-inch capacitive touchscreen. According to a post on TechHive, the capacitive screen lives up to its promise of making the touchscreen experience streamlined and non-jerky. The infotainment system reportedly feels like using a smartphone for its responsiveness. Kia has also combined features like navigation and current audio source information by showing those on the same screen which allows you to multitask. The larger screen size gives you more screen real estate to play with which is nice. The 2014 Kia Soul starts at $14,900. For a full list of features visit Kia's website.